Buying a new vehicle demands decisions at every turn. Choosing the make, model, color and must-have features is just the beginning. You also must navigate which incentive is right for you. "The car-buying process is less daunting if you do your homework before you shop," says Maria Hall, indirect lending specialist at Dupaco Community Credit Union’s Pennsylvania Avenue branch in Dubuque, Iowa. Customer cash: It’s a rebate that goes straight to the customer and is taken off the financed amount. Loyalty bonus: If you already have the same make of the auto you are buying, you might be eligible for a loyalty bonus from the manufacturer. 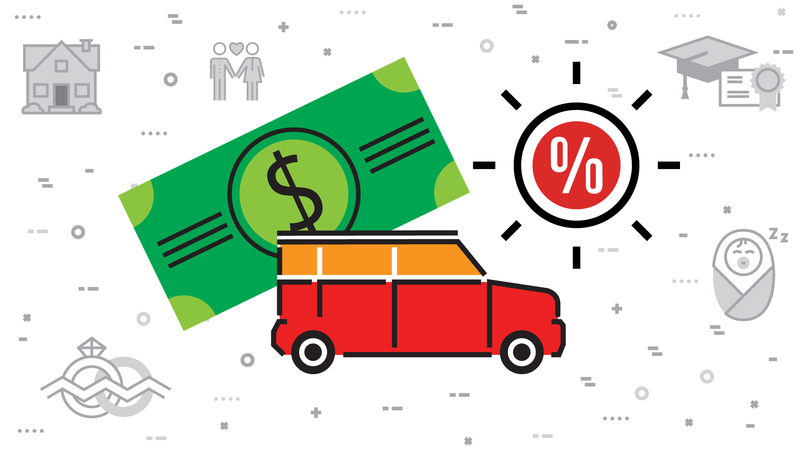 Low APR financing: The low annual percentage rate might range from 0 to 5 percent. “Be sure with the low interest rates to compare whether rebates would be better,” Hall says. “In some instances, a down payment plus the rebates might figure better in the long run than 0-percent interest.” You can use Dupaco’s calculator to help you determine whether a low-rate or cash-back option will offer you the most savings. Lease: Special lease programs can be a good option too, Hall says. Consider these variables when contemplating a lease: the length of the lease (36 months is recommended); the down payment ($0 down is an option); the number of miles allowed per year (it’s usually around 12,000 miles); and the monthly payment, including taxes and fees. When it comes to extended warranties and protection packages, it’s important to compare offerings at both the dealership and your financial institution, Hall says.